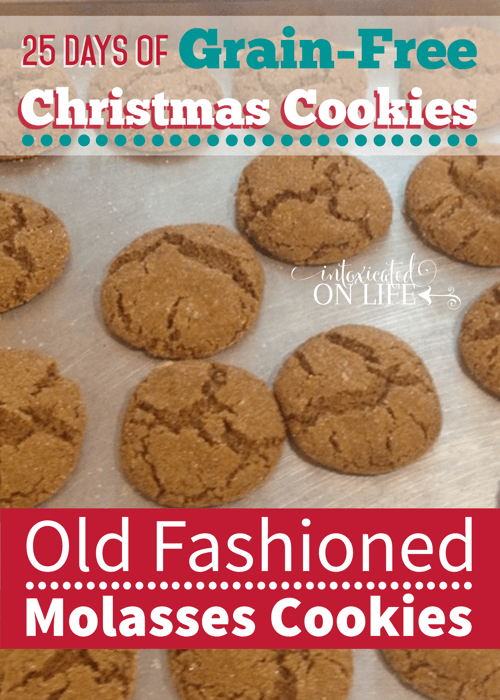 My families very favorite Christmas cookies are these grain-free old fashioned molasses cookies. 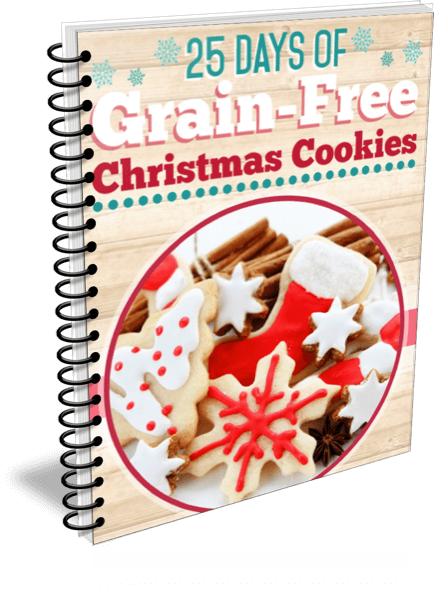 Before I was gluten-free I would choose this classic Christmas cookie before any others. 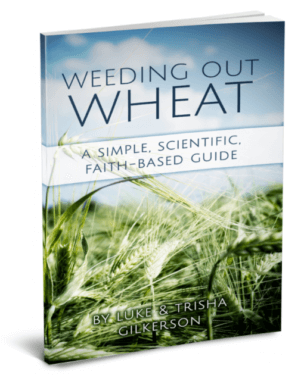 I’ve been baking and tweaking this recipe to get it just like it’s wheat-filled inspiration. My kids haven’t complained. In fact, they’ve been begging me to make more every single day! 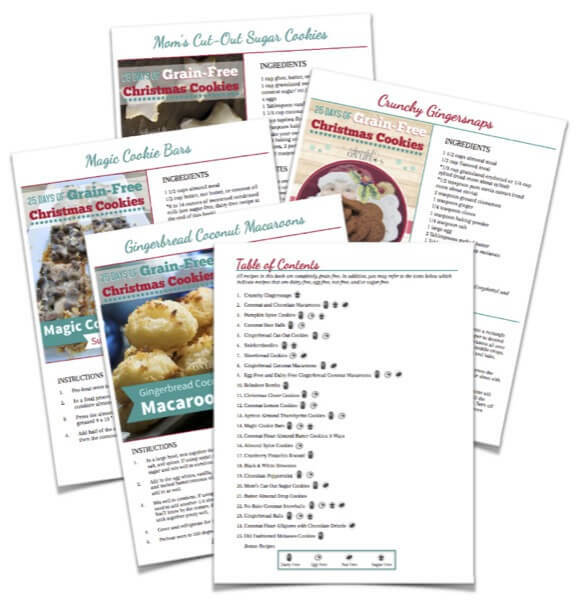 If you’re a regular around here, you know that I don’t typically use sugar in my recipes. 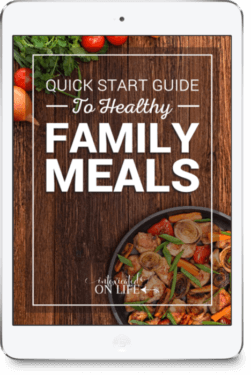 Typically I opt for sweeteners that don’t raise your blood sugar levels—stevia, xylitol, and erythritol (you can read more about why I like those sweeteners by clicking the links). Every once in a while, I do use a natural form of sugar though. Special occasions like birthdays and holidays sometimes warrant the use of sugar (the naturally sweetened grain-free pecan pie I made for Thanksgiving was to die for!). 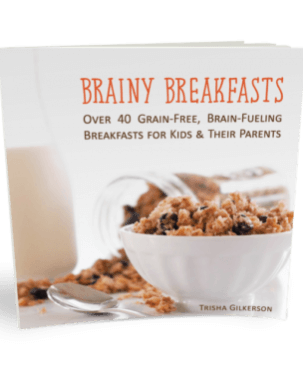 For this recipe, I’ve used blackstrap molasses and organic cane sugar or turbinado. You could likely substitute sucant, rapadura, or coconut sugar in this recipe, but I’ve not personally tried it yet. I did try to make this recipe sugar-free, but it just wasn’t happening. I couldn’t get the texture or taste quite to my liking. I decided this would have to be one of those special occasion recipes. I hope you can enjoy them this Christmas season! Beat the coconut oil, sugar, molasses, and egg together until well combined. Place in the refrigerator for 45 minutes or more. The amount of time will depend on how cold your refrigerator is. Be sure your cookie dough is very firm when it comes out of the refrigerator. If it's not firm enough the cookies have a tendency to spread more. Roll dough into small quarter sized balls. Roll balls of dough in sugar. 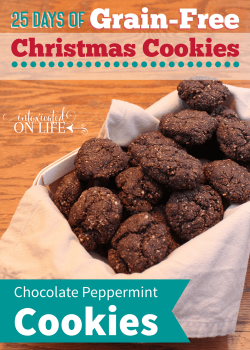 *I used organic cane sugar for the cookies pictured in the post. I have also made the cookies using turbinado sugar. They aren't as pretty and sparkly on the outside, but taste just as delightful and have extra depth of flavor. Mmmm. These look so tasty. I wonder if I could swap out coconut sugar for the turbinado or organic sugar on the inside. It is has a deep flavor similar to the molasses. I have turbinado sugar for the outside. I just made these and they spread way out! The pan turned into one giant cookie. I used coconut sugar but followed the recipe in every other way. Any ideas? That is strange, I wouldn’t imagine that using coconut sugar would make that much difference (though I’ve not tried the recipe with coconut sugar). You left them in balls when you put them on the pan right? The only other thing I can think is if you subbed butter for the coconut oil, but you said you made them just as the recipe stated so that probably isn’t it. I only wondered about that because I did try to make them using butter once and they spread out. Any chance you might have not put enough of one of the flours in the recipe? Those are the only things I can think of that might cause that to happen! I’m sorry they didn’t turn out for you. Hopefully they’ll still taste good even if they don’t look pretty though! They did taste good. Yeah, I left them in balls, followed everything you wrote. Weird! I’m really sorry about that. I’m going to check my notebook where I keep my recipes I’m working on written down and make sure there wasn’t a transcription error. If I don’t find one, I’m going to remake these sometime in the next few days just to make sure there wasn’t an error when it went to paper. If they turn out OK, I might try them with coconut sugar, just to see what happens. I’d like to get to the bottom of this mystery! I’ve made these cookies numerous times without that problem. I hate hearing that they didn’t turn out for you. If we could figure out the problem, I’d love to clarify the recipe! 1) Did you completely melt your coconut oil or was it softened? 2) Did you leave the cookie dough in the fridge long enough for it to harden up? You should be able to easily roll it in sugar without it being goopy at all. 3) How big were the balls of cookie dough? I make mine quite small Probably just a little more than the diameter of a quarter. They make 6 dozen+ cookies for me. I used softened coconut oil, not melted. The dough was in the fridge for an hour, and was a nice rolling consistency. I made them two different sizes, the first few were bigger ones and the second pan I made really small like the recipe suggested. And they were ball shaped. Both pans spread equally. I really did follow the recipe! I cried when I saw the link for this on FB (dumb hormones). I love molasses cookies and haven’t been able to eat them since discovering my gluten sensitivity. Thank you so much for sharing! I will be making a batch today. Mine flattened in to one big cookie too. I used sucanat and may have left them in a little too long. I left a comment for someone else with a similar problem. I’ve made these a couple of times in the past week trying to figure out what a couple of people are having trouble with this recipe and yet they seem to turn out fine for me each time. It’s a mystery I want to figure out! I’m going to clarify a couple things on this recipe. 1) The coconut flour should be lightly packed. 2) The cookie dough should be hard when it comes out of the refrigerator. The softer it is, the more I’ve found they spread. 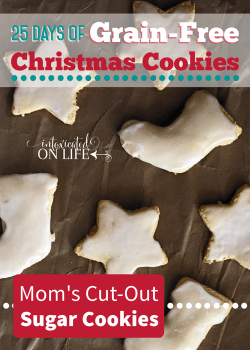 I wanted to stop in and let you know I used these tips and the cookies turned out great. I ended up making a second batch of them and taking most of the cookies (minus those my kids and I snuck) to a big family party today. They were all gone. Nobody could tell they were gluten free! do you have any suggestions as to what could substitute for almond flour? 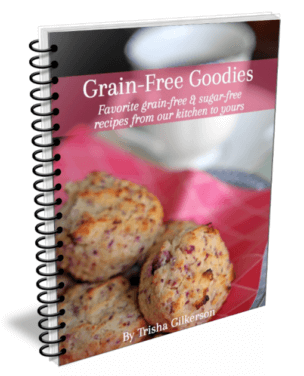 I am really new to grain free cooking and baking and have a foly membe twitch a severe almond allergy. And suggestions would be appreciated. And I apparently can not type! I have a family member with a severe allergy. Just made these for the second time today, as the first batch turned out great. I used coconut sugar and they are great. My only comment is that I definitely did not get 6 dozen. I got about 4 dozen plus a couple more. Regardless, they are great and thanks for the recipe! Glad to hear they turned out great! Good to know they do well with coconut sugar too. I just made these & the same thing that happened to Sharmista above happened to me!! I followed the directions just as Sharmista did. I think it has something to do with the amount of coconut oil. I didn’t melt it, used softened just like it is stated. I’m stumped too. 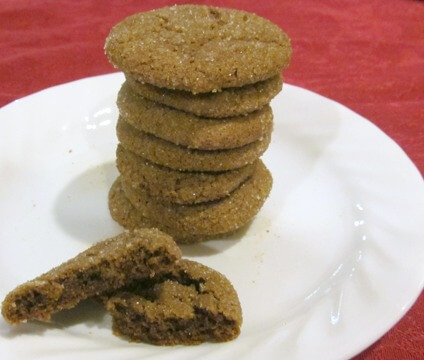 The batter tasted phenomenal–very reminiscent of gluteny ginger snaps my grandma used to make. Thoughts???? I’m going to slightly alter the recipe and clarify a few things. I made this recipe AGAIN and tried to pay really close attention to anything that might alter the recipe. I think there may be a couple things in play here. 1) The coconut flour should be lightly packed. I think this could make a big difference. 2) Refrigeration time. The cookie dough should be very firm when you bring it out of the refrigerator. I tried baking cookies when they weren’t and they spread a lot more for me. I also think this could make a big difference. I have made, made them again, and made them again and these are the only things I can think that may be causing a problem. And just to clarify, I used organic cane sugar. Yup, I ended up with several cookie sheets of just one big, spread-out cookie. Wish I’d read the other comments before trying this recipe. The taste is good, and we are breaking off pieces to eat, but I really wanted COOKIES. Sorry you had trouble with them too. I am sorry some people haven’t had great success with these, but I do think one of the big keys is to make sure you refrigerate the cookies dough until it’s nice and hard before rolling in sugar and baking. Myself, and several others have found when that’s not done the cookies spread. Oh my gosh, these turned out perfect for me!!! They are so tasty. I will say, my first batch I didn’t refrigerate enough so they did spread, but I put them back in the refrigerator for another hour and the. They turned our beautifully. 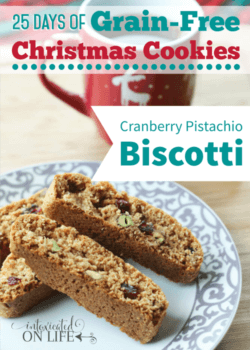 This will be one of my go-to Christmas cookie recipes. THANK YOU! I’m sorry I did read your description above the recipe but I guess I’m wondering what you didn’t care for when you tried these in the sugar-free form? And do you remember the measurements you tried? Was it just the taste you didn’t care for or did it affect the baking too? I wasn’t able to get the texture of these cookies to turn out like I liked them. Sugar really effects texture a lot. I don’t recall the measurements I tried, I tried tweaking it a few different ways and using a few different types of sugar substitutes and I just wasn’t ever happy with them!